In a rematch of last year’s 3A state final, the defending champs Garfield ventured south to Crawford Court to take on Rainier Beach in front of a capacity crowd for a battle of the top teams in Washington. 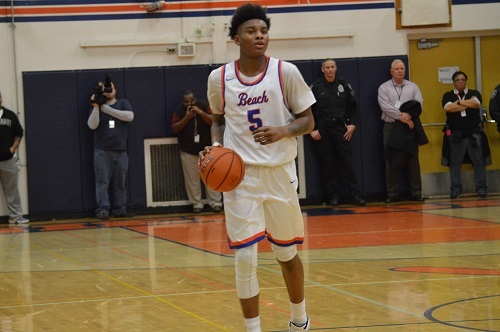 Kevin Porter gave Rainier Beach an early lift by scoring ten first quarter points as part of his sixteen total including a pair of thunderous dunks. The Bulldogs’ lethal back-court of Jashaun Agosto, Daejon Davis, Terrell Brown, and Jaylen Nowell were faced with the challenge of operating without versatile forward Alphonso Anderson. Garfield received ample contributions from the four guard and carried a 41-36 lead to halftime through high-percentage buckets on dribble penetration. The Bulldog lead reached eight in the opening minutes of the third frame and was dangerously close to hitting double digits, but Beach fought back. Tijohn Rodde knocked down a pair from downtown Seattle as part of an extended run for the home team which brought the score within two heading into the final quarter. Sam Cunliffe who led all scorers with 25 continued to attack the rim with ferocity and helped the Vikings grab the lead and start to pull away. Daejon Davis who led GHS with a team-high 21 battled back with acrobatic finishes at the cup to keep the champs within striking distance. Needing a clutch bucket late, Agosto answered with a monster three-pointer to draw the game within a point leaving only 26 seconds to spare. Rainier Beach’s ability to bury free throws in the final possessions allowed them to create separation and secure a seven point victory. 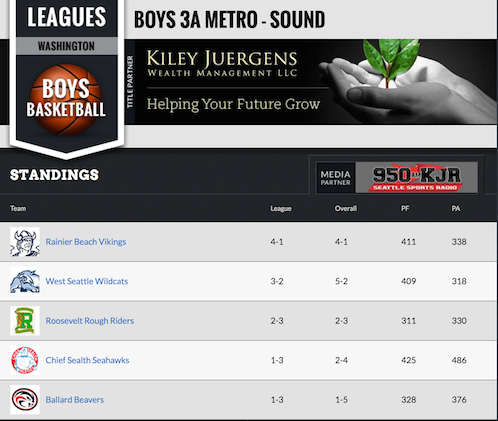 Rainier Beach 76, Garfield 69.